We are a digital agency located in Biddulph, Staffordshire. With a wide range of experience in developing applications for all mediums. Primarily working with North West’s premier marketing, design and PR agencies offering a White label service acting part of their team. In addition we work with our own client base producing and supporting various bespoke applications, websites etc. From a simple 5 page HTML web site to a full content management system with 100’s of pages we have the solution for your website requirements. 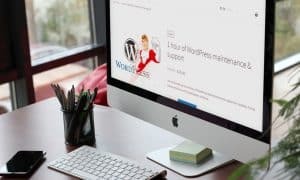 Experienced in HTML5/CSS3, WordPress using off the shelf templates or bespoke created for the client, Drupal and Joomla along with developing totally bespoke content managements systems specifically for the clients requirements. We can create cross platform Apps. for various devices from iOS, Android to Windows phone. The approach we take to the build of our Apps. depends on your requirements but generally we will produce an App. using HTML5/JS to create a base application which with minimal tweaking will work across various devices. This approach helps to keep costs down as we are not having to produce code for a specific device. We can help you develop a bespoke software system. This is a system that, unlike off-the-shelf packages, is designed to fit how your company operates and solve a specific issue. It is not a generic system offering general functionality. Developing in PHP/MySQL using various frramesworks and applications we have designed several bespoke or customised systems for clients from different fields, helping then achieve specific goals. 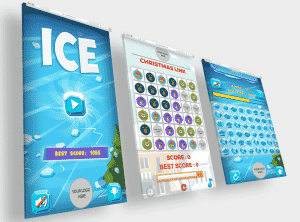 HTML5 games either from scratch or using one of our existing designs. You can host the game on your website or we can turn the game into an Android/Iphone/Ipad app for download from the appropriate app store. With ever greater numbers of users having browsers supporting the latest web technologies and your average broadband having much faster download speeds, video is becoming a much larger part of the web these days. At Simplicity Digital we have the capability to create videos for online or offline use either from stock images and video or bespoke productions. We are experienced in the production of interactive presentations from slide presentations to interactive video productions.